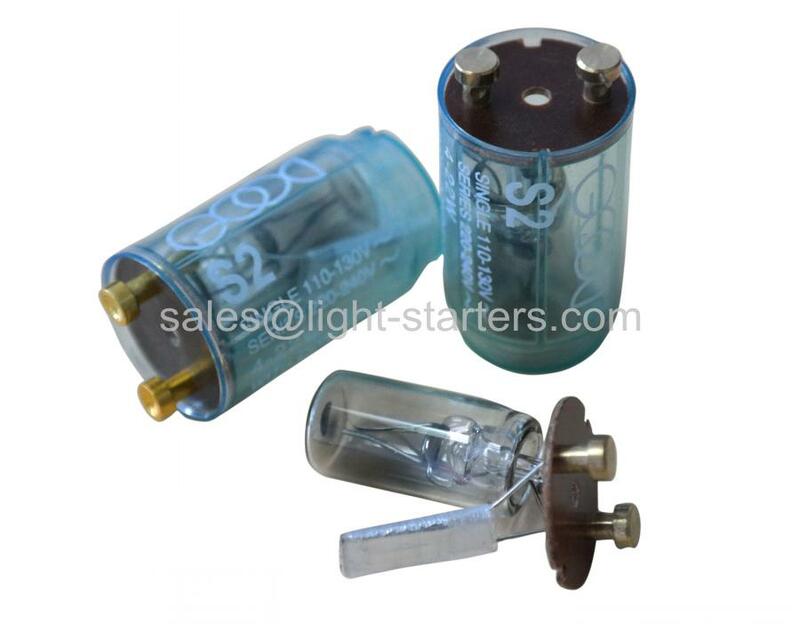 Starter For Tube Light are widly used in different types of fluorescent lights. The starter is there to help the lamp light.Our fluorescent starters have a uniform quality and very competitive prices due to our perfect processing control through the newest fully automatic assembly and inspection machines.We supply customers with wide range of starter for tube light with its excellent performance of quick start,long life,safe and stable. How’s our starter for tube light working? When the switch is turned on, the power supply voltage is applied to the starter immediately poles through the ballast and the lamp filament. 220 volts immediately inert gas ionization starter, the glow discharge. Heat glow discharge bimetal thermal expansion, the bipolar contacts. Current path constituted by the ballast, starter contact electrode and the filament ends. Quickly heating the filament current, a large number of electrons are emitted. In this case, since the starter poles closed, between the poles of the voltage is zero, glow discharge disappears, the tube temperature decreases; bimetal automatic reset, disconnect the poles. In an instant the poles disconnected circuit current is suddenly cut off, ballast have a great self-induced emf, after the supply voltage is superimposed effect of the tube ends. Heat emitted from the filament when a large number of electrons at high voltage is applied across the lamp, with great speed from the low potential side to the high potential side movement. In the process of accelerated motion, the collision pipe argon molecules, so that rapid ionization. Argon ionization heat, heat the mercury vapor to produce, along with the mercury vapor is also ionized and emit intense ultraviolet radiation. Under ultraviolet excitation phosphors emit almost white wall inside the visible light.